Kung Hei Fat Choi girls! and oh, Happy hearts day too! I borrowed my sister's fluidline to make a comparison. Both are made of glass jars. MAC is a bit creamier than Maybelline. After a few minutes upon application, I rubbed it several times - it didn't budge or smudge! When I placed my hand under running water and rubbed it twice, both liners smudged. Maybelline smudged more than MAC, but hey- just a little bit! 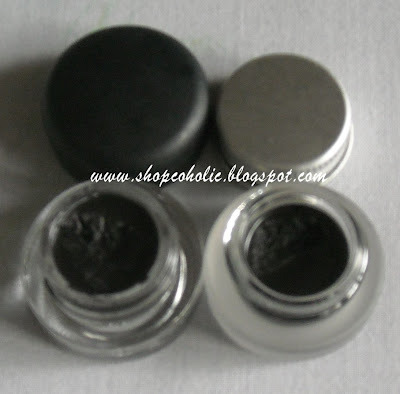 Make sure to tightly close the jar after opening to prevent gel eyeliners from drying fast. Fanny Serrano gel eyeliner - dries easily after a month. Flaky texture. Elianto gel eyeliner - creamy consistency at first. Dries easily too, making it difficult to use. 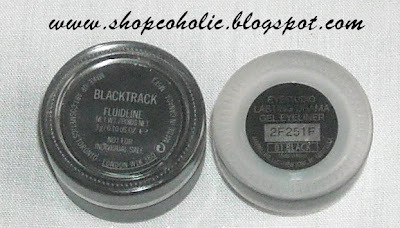 Blacktrack is a nice gel eyeliner, but if you want to save a few bucks I really recommend Maybelline! 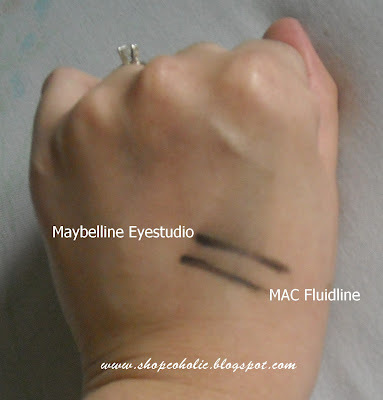 Its a dupe of MAC Fluidline IMO. I've had this for more than a month the texture is still creamy. thanks for the review sis! I love my maybelline gel liner, too! It's the one that I use in all my FOTDs. Is the volume/net content the same? @tish - i forgot to include the weight. 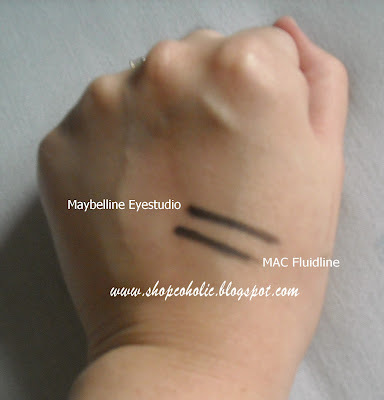 maybelline is 2.8g while MAC is 3g. is it available na here? 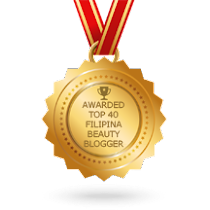 I haven't tried Maybelline, glad to know its good especially for ladies who doesn't want to spend much :) Great post! 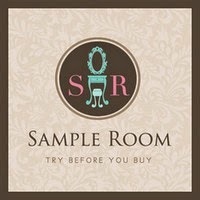 Thanks for this review, definitely worth knowing! Hi sis, just read your review about Maybelline now. I have to agree, you save more with Maybelline and their gel eyeliner is so good! I love it!